LOS ANGELES -- Brisk sales of Mazda's new CX-5 compact crossover in May offset declines by most of the brand's other vehicles. Mazda sold 20,357 vehicles last month, up 2,482 units or 14 percent from the 17,875 vehicles sold in May 2011. 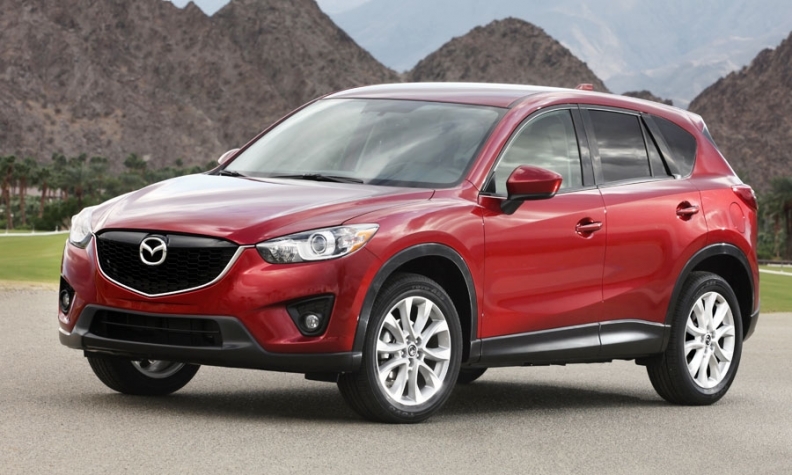 The Mazda2 subcompact, Mazda3 compact, Mazda5 small van, and CX-7 and CX-9 crossovers posted sales declines last month, but the CX-5, which entered showrooms in February, posted sales of 3,973. The CX-5 competes with the Honda CR-V, Ford Escape and Toyota RAV4. Another worrisome sign is Mazda's growing fleet sales, which are typically low profit. According to the most recent data available from TrueCar.com, fleet sales accounted for 31 percent of Mazda's 2012 sales through April, up from 19 percent in 2011. But fleet sales can be seasonal, so Mazda is not necessarily locked into higher fleet sales this year. The Mazda6 sedan and the low-volume MX-5 Miata were the only Mazda nameplates to post sales increases in May. Through five months this year, Mazda sold 123,886 vehicles, a 20 percent gain from the first five months of 2011 and enough to boost the automaker's market share slightly to 2.1 percent.